Founded along the banks of the majestic Nile River, Aswan is a tranquil version of Egypt’s busy capital city, Cairo. 266,013 people call the city home and it is an ideal destination if you’re interested in the history and culture of Egypt. Its relaxed atmosphere is infectious, and you can’t help but feel a sense of timelessness here. 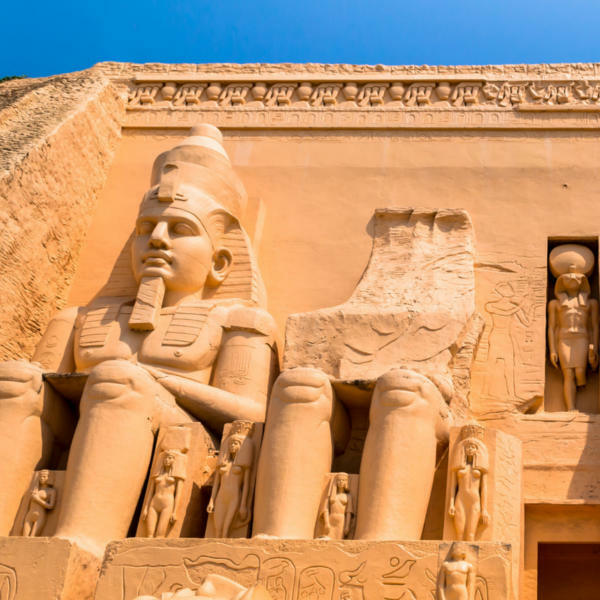 Cheap flights to Aswan are now available for a limited period of time, so get ready to be captivated by this timeless city. Aswan is home to the Aswan International Airport (ASW), which is approximately a 30-minute drive from the city center. 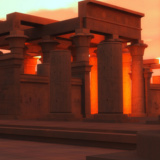 Situated on the banks of the magnificent Nile River, Aswan is of great strategic importance. Ancient history entrenched in the walls of the city, medieval tombs, and ageless sculptures. Talented history travels through the medieval walls, obelisks, and monuments of the city. Great architecture embellishments upon the surfaces of the museum and castle interiors are fascinating to behold. The integration of many communities together within Egypt has led to the adaption of new forms of national dishes. 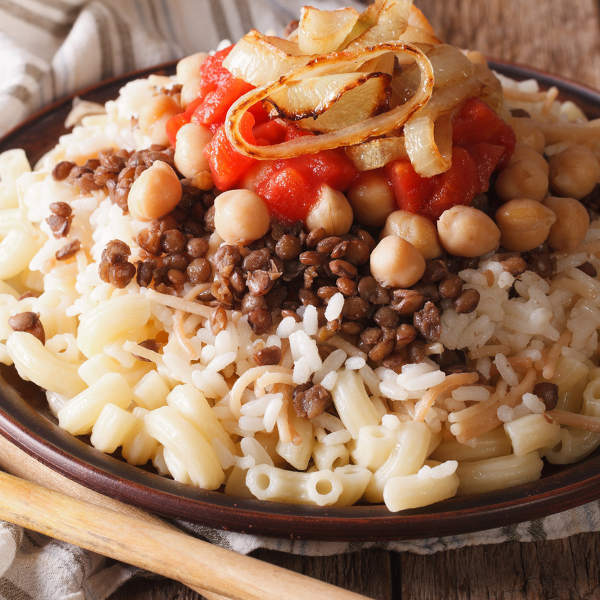 Kushari, kebab, and shish taouk are among many dishes to explore. During the summer months (June through August), Egypt enjoys 13 hours of sunshine, but is also extremely hot. Aswan, in particular, rises to scorching temperatures in the 40-degree Celsius range. Summer coincides with the special month of Ramadan, a month of Muslim fasting. This is a special time to visit and enjoy celebrating with celebrities and a fun festival atmosphere, including fireworks and street decorations. The more comfortable time to visit, ideal for basking in the sun and exploring the glorious Nile River, is spring (March to May) and autumn (September to November). The clearness of the sky lingers and temperatures are much cooler, ranging from 26-28 degrees Celsius. In winter, temperatures are really low and certain areas experience a high of about 22 degrees Celsius. December to January sees some rainfall with cooler temperatures. Aswan, with its African characteristics, is the sunniest city in Egypt. 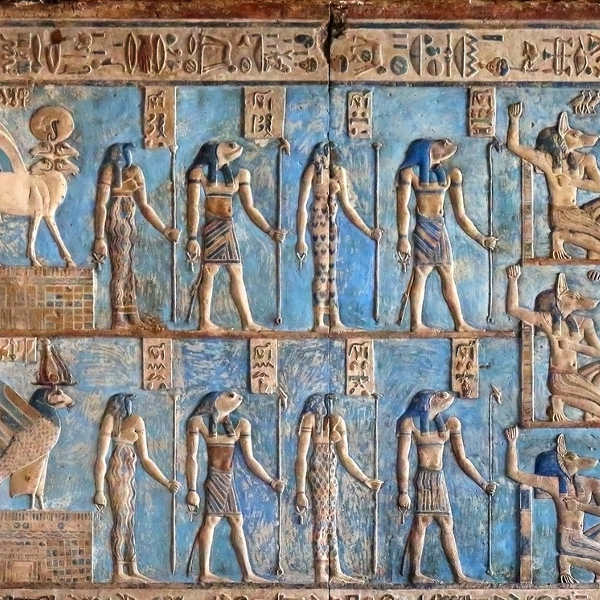 Located south of Luxor, its ancient Egyptian name was Syene. Its picturesque location on the Nile captivates the hearts of sightseers. It is small enough to walk around, graced with a pace of life that is slow and steady. Days can be spent sauntering up and down the broad Corniche watching yachts engrave the sky with their towering masts, or sitting in floating restaurants listening to Nubian music and eating freshly-caught fish. 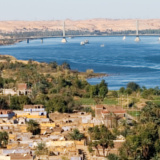 The Aswan Nile has a picturesque view, flowing through ochre desert and granite rocks. Travel through emporiums and experience the marketplaces, filled with the intoxicating scent, and various colours of spices, perfumes, pashminas and hand-woven baskets. The outlook from the east bank of the Nile encapsulates the charming views of the mosques. Groom yourself for an adventure as the bazaar runs all the way from the Corniche through to the Ferial Gardens, past the Nubian Museum and continues toward the cemetery. Forests of ceilinged domes and tombs still exist from the Fatimid period. Compare several airlines, and book your cheap flights to Aswan online at Travelstart! All travellers should be up-to-date with routine vaccinations, although there are no mandatory vaccinations required for travel to Aswan. • Vaccinations against hepatitis A and typhoid are recommended. • There is no risk of yellow fever in Egypt. The government of Egypt requires proof of yellow fever vaccination only if you are arriving from a country with risk of yellow fever. Aswan has an abundance of hotels to stay in, most of which are located downtown and on islands in the archipelago opposite the Corniche. Located in Upper Egypt you will find one of the finest and most prestigious hotels - it is a living history and a landmark of modern day Egypt. Be prepared to fork out a pretty penny for accommodation in this classy neighbourhood. On the northern part of the Elephantine Island are more stylish hotels, known for their impeccable service, great tasting food, and pleasant stays. The rooms have exquisite views of the Botanical gardens, the Nile and the Tombs of the Nobles. Located on the hill of Aswan, overlooking the archipelago, are good, affordable hotels. Service is good and staff are friendly - having breakfast on the hotel terrace is an absolute must. For quaint bungalows and gardens, look no further than the Corniche. The best rooms are those facing the Nile. Great wood-panelled embellishments adorn the interior of these little cottages, and room rates are reasonable. 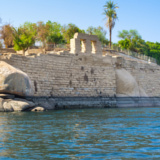 Ferries: Two public ferries run to Elephantine Island, the one departs across from Egypt Air and goes to the Aswan museum; while the one opposite Thomas Cook goes to Siou. Bicycling: There are a few bicycles up at the train station end that are available for daily hire. Taxis: These are available from anywhere within the town, and you can also go on a taxi-tour of the city. Microbuses run along the major roads in Aswan.